Prophet T.B. Joshua has denied releasing any prophecy regarding Nigeria's upcoming presidential elections in February 2019. An article circulating on several online news sites in Nigeria alleged that the famed cleric had predicted success for Nigeria's opposition candidate Atiku Abubakar during his annual New Year service. "The election will be closely contested between the two leading political parties but I see Atiku Abubakar winning," the article, which was widely shared on social media in Nigeria, quotes Joshua as saying. "Prophet T.B. 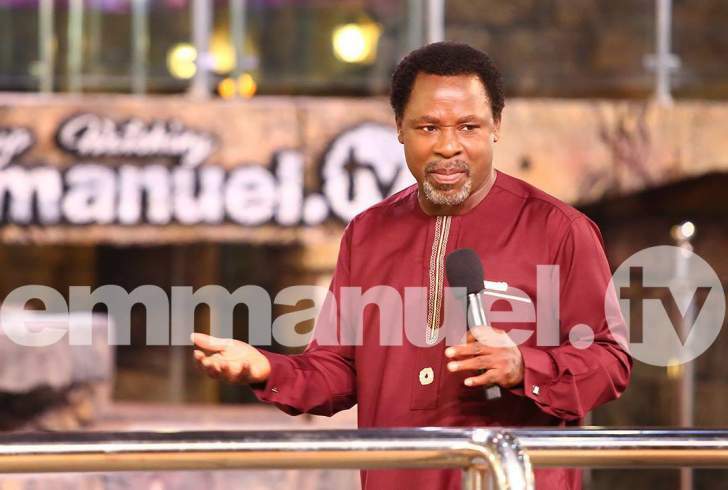 Joshua has not yet released any prophecy for the year, 2019,"the statement began. "Any prophecy credited to him should be ignored. Emmanuel TV is our means of spreading our message; stay tuned to Emmanuel TV," it concluded. Rather than releasing a yearly prophecy, Joshua posted a hard-hitting sermon on YouTube, which had already garnered nearly 200,000 views since its release on January 1st2019. The cleric bemoaned the ‘religious spirit' which has infiltrated Christianity, stressing that "Jesus' focus is the motive behind what we do" and "Christianity lies in the heart". "When you see someone who is doing good, don't be in a haste to see him as good because you don't know his motive,"he continued, citing the example of politicians who fail to fulfil election campaigns after being elected to office. "Jesus looks at our motive behind our action but men look at the action… Jesus tests our heart to reward us," he stressed. Despite denying a prediction of Atiku's victory, the cleric is on record giving a cryptic warning regarding Nigeria's democracy on two occasions in 2018. "Nigeria, we should pray against a stop-over and pray for a smooth democracy,"Joshua stated on December 9th2018. Earlier on July 1st2018, he had warned Nigerians to "pray against the interruption of the democratic practice".